The Butte County Sheriff’s Search and Rescue Team is applying for a California State Parks Off-Highway Vehicle (OHV) grant. We are requesting a set of Polaris Sportsman RMK 800 Snowmobiles and related rider safety and rescue gear for winter mountain rescue work in OHV areas of Butte County. We would like to give the public an opportunity to review the grant and provide comments. 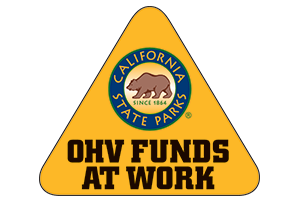 Our team will be holding a public meeting to hear from those interested in reviewing or commenting on what we are requesting through the OHV grant. The meeting will be held on Thursday February 28th at 5pm at our Headquarters Building, 3965 Morrow Lane, Chico, Ca. The Applicant shall undertake a public review process of their application. (1) All preliminary applications shall be available on the Division Website (www.ohv.parks.ca.gov) the day following the preliminary application deadline for public review and comment. (2) Applicant shall notify the public of the opportunity to review and comment on the Preliminary Application no later than the first Tuesday following the first Monday in March. The notice shall include instructions for accessing the Division Website for Application review and public comments. Public notification efforts shall include at least one of the following: a. Notice mailed and/or emailed to those persons the Applicant determines most likely to have an interest in or be affected by the Application, and to those who have requested notice, b. Publication on Applicant’s website, c. Publication in local newspaper, d. News release, e. Public meeting or hearing conducted by the Applicant. (3) Public comments shall be submitted to the applicant and the OHMVR Division. (4) Public comments shall be submitted no later than the first Monday in May.